There are 5 direct train services a day from Hat Yai to Bangkok. The fastest train is Train #42 departing at 16.23 which is scheduled to arrive in Bangkok 13 hours 32 minutes later. 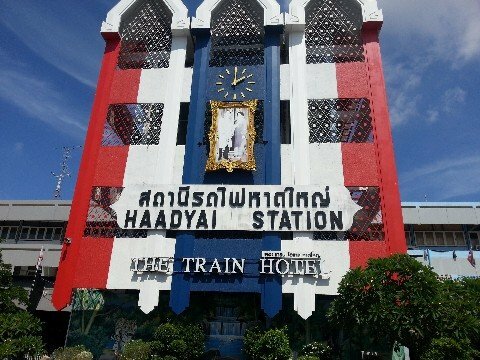 The slowest service is Train #170, which is scheduled to arrive in Bangkok 18 hours 15 minutes after departing from Hat Yai. Use the Search Box below to buy your train tickets from Hat Yai to Bangkok. After booking either collect your train tickets at the Parcels Office at Hat Yai Train Station or request that they are sent to your home address by post. 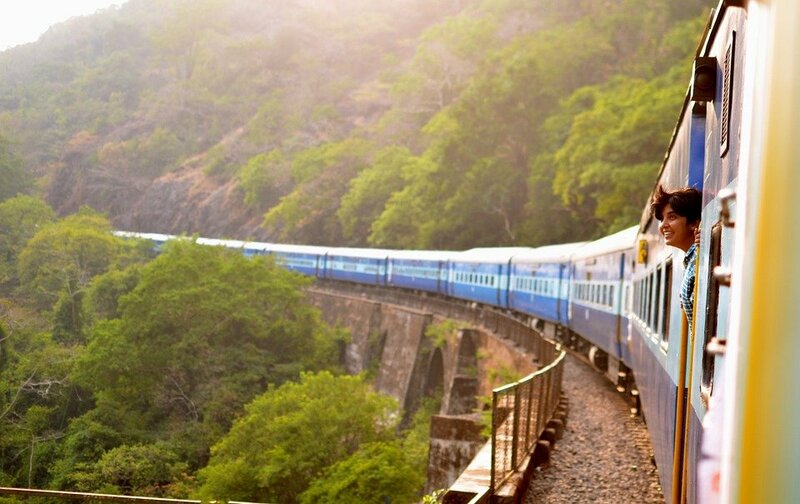 The fastest train, the 16.23 departure, is not necessarily the best one to book because this is a seat only train with no sleeper berths available, although the ticket price does include meals and drinks. Trains #36 and #38 provide passengers with a more comfortable journey as both have 1st and 2nd class air-conditioned sleeper berths available. Booking in advance, although more expensive than purchasing a ticket at the train station, is recommended for the Hat Yai to Bangkok train route because 1st and 2nd Class AC Sleeper seats tend to be booked out days or weeks before the date of travel. Few people would opt to complete a 13 to 18 hour train journey in Thailand in a 3rd Class fan cooled seat unless they were on a very tight budget, or that was the only ticket available because they did not book in advance. There are three public transport options for the journey from Hat Yai to Bangkok: bus, train and plane. The bus is the cheapest option and takes 14 hours, about the same time as the fastest train service, but 2 hours quicker than trains with sleeper berths. 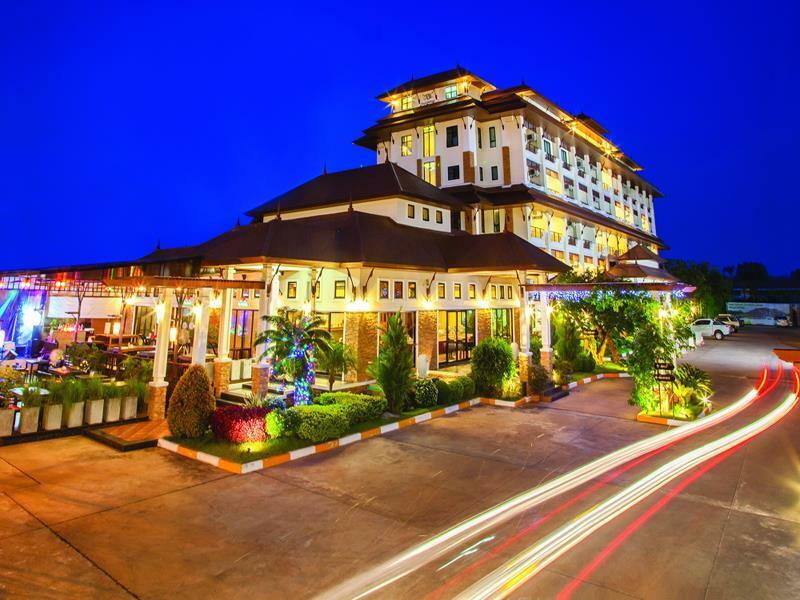 You can also fly to Bangkok from Hat Yai for approximately the same price as a sleeper berth on a train, although if your budget is important you need to factor in the cost of getting to and from both airport and the cost of a stay in a hotel room for a night both of which mean that flying becomes more more expensive than train travel. Hat Yai train station is right in the centre of Hat Yai city at the eastern end of the Thumnoon Vithi Road, which is the main road running though the centre of the city. It is a short walk to many of the major hotels in the city. The bus station, however, is about 2 km outside the centre of Hat Yai. To get from Hat Yai bus station to Hat Yai station you need to take either a motorbike taxi or a taxi. The charge to foreign visitors is normally 40 to 60 THB (2018 prices) for the journey from the bus station to the train station. Bangkok’s main train station, Hua Lamphong Railway Station, is in the Yaowarat (China Town) district of the city not far from the Chao Phraya river. Aside from taxis and tuk-tuks, there are two easy public transport options from this railway station. Adjacent to the train station is an MRT (Metro) station. The MRT has stops in many areas of ‘New’ Bangkok, including Silom and Sukhumvit Road, and continues to Bang Sue railway station in the north of Bangkok. There are connections from the MRT to the BTS (Skytrain) and the Airport Link. It is also an easy 400 metre walk to the Harbour Department Pier on the Chao Phraya river where you can take the Chao Phraya Express boat northwards to the Khao San Road area or southwards to the Silom Road area. For more information see our Guide to Local transport from Bangkok Hua Lamphong Train Station. Bangkok’s main train station, Hua Lamphong, is in Bangkok’s Yaowarat (China Town) district. 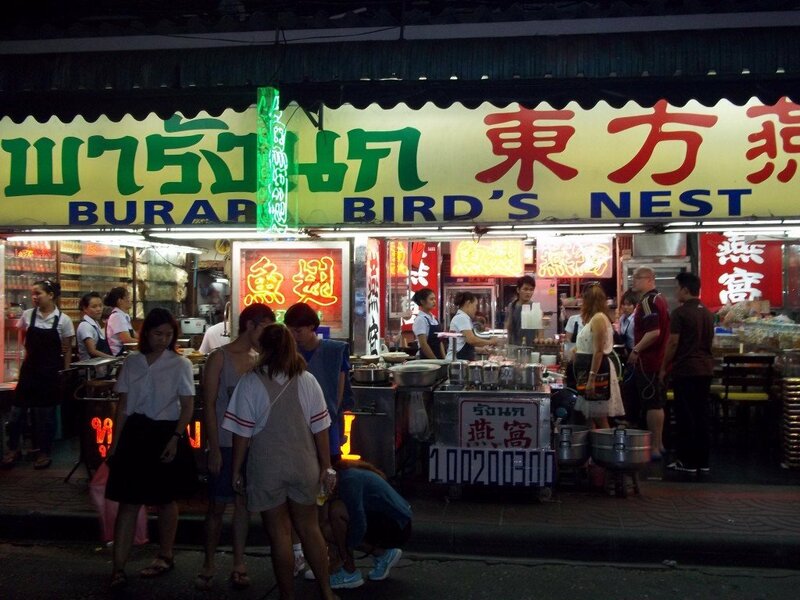 Visitors to Bangkok have lots of good reasons for choosing to stay near the train station. The local markets are temples are amongst the best in Thailand. The transport links to other parts of Bangkok are also very good. Bangkok train station is walking distance from some great and unique hotels.